As a healthcare worker, you may think that your only customers are your clients. Your clients, their families and friends are probably your most important customers. But they are not your only customers! In fact, healthcare workers have many different kinds of customers. All of these customers need you to provide them with the very best care. It’s essential that the healthcare workers develop strategies on how to improve customer service in healthcare. One very effective way of learning strategies like these is to take an online course. A customer is anyone who needs and uses the services you offer. Now, think about all the things you do at work and the people who need you to do those things. Here are some of your customers. I am sure that you will think of more! Students who are gaining clinical experience in your work place. Their instructors are your customers, too. You can see that some of these people are individuals and others stand for different kinds of businesses. You may wonder why the people who sell supplies to your facility are customers. Well, these people want to sell things, but they also want to be treated well. They want you to tell them what kinds of supplies work best for your clients. If the salespeople enjoy coming to your work place, and you give them good information, they will give you good service! And, remember that you are their customers, too! The same thing goes for people who repair equipment, who clean the work place, or who visit your agency to help the clients. You already know that your clients and their friends and families are your customers. These people need your best care and understanding. It is never easy to have health problems! Some of your clients will have acute or chronic pain. Many of them will be worried and frightened. Because of this, they may act impatient and even rude. Loved ones too, may be severely stressed, as they watch family members or friends suffer. It is important for you to try to understand what your clients and their loved ones are facing and to help them during this difficult time. Doctors, your co-workers, and other people who work in healthcare are also your customers. You need the help and support of these people to do your job, and they need your help to do theirs! You probably know someone who is always complaining about how much work there is to do, and how hard it is to do it. Perhaps this person never helps others, but wants everyone to help him or her. Try and understand why this person is so upset. Maybe he or she is not feeling well or has problems at home. 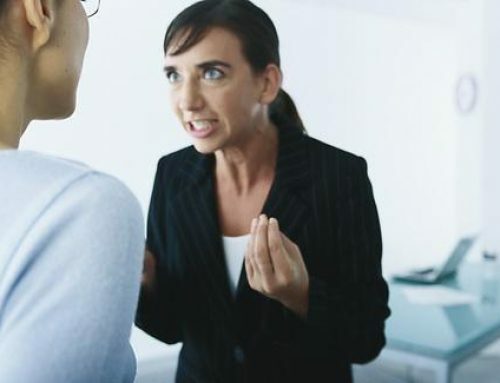 Try to be supportive, but you or your manager may also need to talk to this person. He or she needs to understand how such negative behavior affects everyone else. If all healthcare workers would recognize and treat their customers with respect, and provide the best possible service, client care would improve, client satisfaction would increase, and the work place would be more pleasant! Strategies for improving customer service in healthcare. Help identify important client and other customer concerns. Pass these concerns on to your manager as soon as possible. Remember that customer service is part of all employees’ jobs. Help to collect and evaluate information about customer satisfaction and client care outcomes. Help to recognize areas for improvement and to identify actions to take to make these improvements. Evaluate the success of these improvements. If things are not working the way you and you co-workers hoped, try different approaches. Don’t be afraid of change. Sometimes change can be frightening. Sometimes you may be afraid that change will make more work for you. Don’t try to stop change. Change is a natural part of your professional and private lives and often helps to improve both! Listen to what your customers say and how they say it. For example, why does your client’s voice tremble when he tells you he is not afraid of the surgery? Maybe he is frightened but reluctant to discuss his feelings. What does your client’s body language tell you? Does he/she make eye contact? Are the arms folded tightly across the body, indicating anger or fear? Sometimes body language tells you more than words! When talking to a client, get down to his/her eye level. Don’t make the client stare up at you. Don’t act as if you can’t wait to get out of the client’s room. Taking the few extra minutes to really listen may save you a lot of time later, and may make the client or other customer feel much more satisfied. You have only one chance to make a good first impression. The first impression your customers receive will be the one that they remember! Smile and use a pleasant tone of voice when you meet someone. Introduce yourself and make sure that your customers know what you do in your work place. Your customers are more likely to believe that you care about the work you do if you are pleasant in your manner and careful about your appearance. Ensure that your clothes are clean and neat and that your shoes are polished. Your hair should also be clean and neat. If it is long, tie it back. Keep your fingernails short and clean. Nothing is worse than being scratched by someone’s long fingernails! Imagine that a client asks for a glass of water. You forget about it but later on your client reminds you. She is obviously upset with you. Tell the client that you are sorry, bring the water, and ask if there is anything else that you can do for her. No one is perfect. Admit when you are mistaken, correct your mistake, and do your best to make sure that you don’t make the same mistake again! The following will be of interest to you if you are required to do charting in your current role as a healthcare worker. Proper charting is important for legal purposes. It is also an important means of communicating client information. Proper charting can help to improve client care, which in turn enhances client satisfaction. You can avoid mistakes by charting properly. Make sure that your charting meets the standards of your state/province and of your work place. Here are some general tips for good documentation. Be objective when charting. Don’t record your own thoughts and feelings such as the “client was really rude and belligerent.” Chart the clients’ actions and, if you need to explain what he or she was saying, put the clients’ exact words in quotes. Be sure to write legibly. Use correct grammar and accurate terms. Spell words correctly! Use measurable terms. For example, don’t say that the client’s “wound is the size of an apple.” Instead, say that the “wound is 2 inches in diameter” or “5 cm in diameter.” Don’t make the reader guess what you are trying to say. If you do, the client may suffer. Use only abbreviations that have been approved by your work place. NEVER make up or use unapproved abbreviations. Don’t chart things that you did not do or observe for yourself. Broadening your understanding of customer service in healthcare is an important part of the career ladder; that is, how you see all the people in your career orbit can greatly affect how you approach your job. The fact that you’ve read this far signals that you are looking for solutions. We can help with that. Right now we are offering 20% off our Career Advancement course set from Mediscript Academy with the coupon code of CAREER20. Take advantage by clicking this link. QUIZ – What Do You Know About Caring For A Person Who Has Had A Stroke? 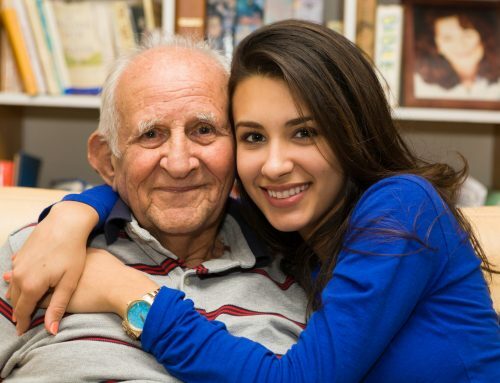 QUIZ – What Do You Know About Caring For A Person With Alzheimers Disease?